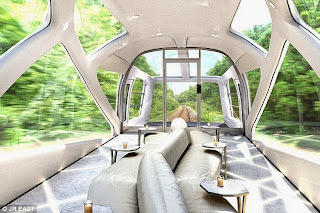 "Observation cars with glass walls, deluxe suites and a sleek design -- this is the future of train travel in Japan. Cruise Train is expected to launch in the spring of 2017, but renderings have been released, unveiling a revolutionary blueprint with a £30m price tag. 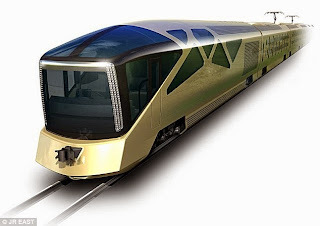 Produced by Ferrari designer Ken Okuyama in collaboration with JR East railways, the projections are based on the seven-star super-luxury Nanatsuboshi in Japan."